Hello SErs! Harmony here. I hope this finds you all well. Welcome to the third in a four-part series on writing flash fiction. If you missed the first part, you can find it HERE. And the second part HERE. So far, we have looked at creating a hook with a character who needs something. Then we looked at giving that character a problem to meeting that desire, and we looked at writing our story beginnings. This week, we look at escalation. The initial problem gets a little worse, and then it gets a whole lot worse, shoving that desire right out of reach. This will form the crux of your story middle and ramps the tension way up. Groom = wants to get to his wedding + wakens in a rest area with no idea where he is … Escalation (1) small escalation = he discovers a tattoo on his buttocks, bearing the name of his ex. Escalation (2) large escalation = Tries to remove it with salt and makes it look worse. Goes to a tattooist who uses salabration. Ends up with a fever. Kidnapped Teen = survival + he’ll kill her no matter how good she is … escalation (1) = he chains her to the wall instead of just locking the door. Escalation (2) = He comes back with a syringe full of Pavulon and potassium chloride, with which he intends to kill her. Psychopathic Counsellor = To inflict pain + feels physical agony whenever he inflicts emotional pain on his patients … escalation (1) = When he tells his patient she has to go, and stands to force her, the pain makes him pass out. Escalation (2) = When he comes to, he’s wet himself, and she’s sitting there with a knowing smile. Then she opens the door and lets in all of his previous victims. Sociopathic Author = Fame + his characters come to life … escalation (POV of characters not author) (1) = As soon as he awakens, he can control them just like in his books. Escalation (2) = He forces them to do his dirty work out in the real world. Now you have this information, it’s time to write out your story middles. You need to leave 50 words clear for your ending, which you will write as tightly as you can. The ending wants to be a short, sharp twist. His mouth pinched, and his jawline became hard and distinct. Tanya ground her teeth while looking away and down at the floor, arms crossed protectively. Then he rattled a chain, mocking her, and her eyes jerked up. ‘No. No-no-nonono.’ Frantic, she shook her head and backed away, hands held up in front of her to ward him off. All to no avail. One hard slap was all it took. Within seconds, he had her chained to the wall. Tanya managed to hold in her sobs until he’d locked the door behind him, leaving her utterly alone with her terror and dejection. If she hadn’t managed to escape from the locked room, how would she ever get out of the chains? A lump formed in her tight throat, and heat burned the backs of her eyelids. She shook her head. A week ago, she’d been walking to school as usual. And then this fat, ugly bloke with halitosis had pulled up in his white van and dragged her into the back. At the awful memories of what had followed, Tanya clenched her knees and fought down the bile that had risen halfway up her throat. She had to get out of here. After a few minutes of twisting and turning her wrists, trying to escape the binding chain, her wrists bled and smarted. When her frantic struggles ceased, she became aware of how much noise she must have made. (364 Words) + (47) = (411) = 89 to finish. Okay, that’s it for this post. Next time, we look at resolution, where you get them out of their dire circumstances and finish up. And you get to write your story ending. Have fun! Excellent post, Harmony. Flash fiction is hard for me because I tend to write long. With a lot of practice, it can be done. 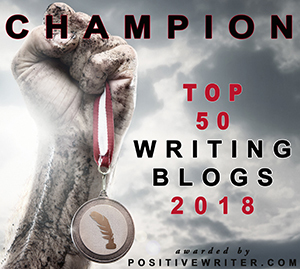 Check out this great post from Harmony Kent on The Story Empire Blog with some tips from her series on writing flash fiction. This is almost like making a cake, Harmony. The basic layers are the beginning, the icing between the layers adds another dimension, then the icing on top finishes it off. This is an excellent post! Lots of great information. Powerful, writing, Harmony! I hope she finds a way to turn that needle on her abductor! Fabulous post, Harmony! And what a cliffhanger! Wow! Exceptional post today, Harmony. This whole series is great, but it’s spectacular seeing how the prices all come together. (also very creepy and tense story). Well done! Your prompt about the author who gets his characters to do his dirty work reminds me that Lisa should clean out the rain gutters at the writing cabin. Love the creepiness of the story you’re building for us. Can’t wait to see how she gets out of it. Lol. Yep, but careful what precise instructions you give her! She might just turn your words around and use them to her advantage 🙂 Glad you’re enjoying the short story. Thanks, Craig.